The hotel offers a restaurant. Wireless Internet access is complimentary. This Johor Bahru hotel also offers room service (during limited hours) and a lift. Limited complimentary on-site parking is available on a first-come, first-served basis. 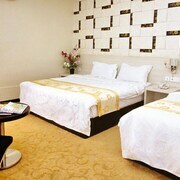 Hotel Tebrau CT is a smoke-free property. 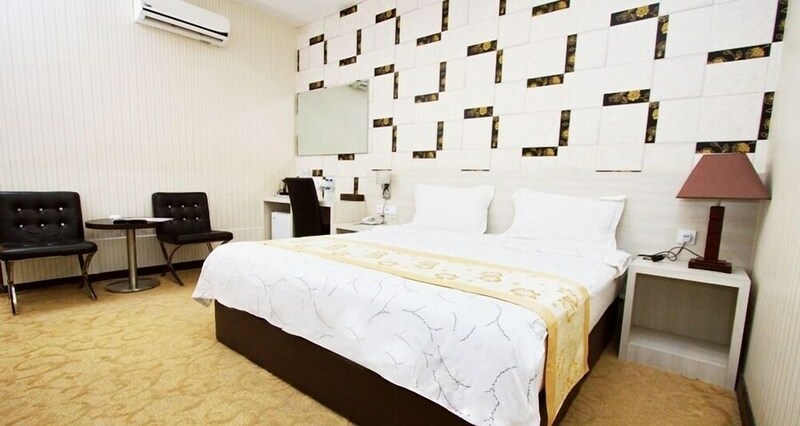 Located in Taman Desa Tebrau, this hotel is within 3 miles (5 km) of Hospital Sultan Ismail, Austin Heights Water & Adventure Park and AEON Tebrau City. Sunway College Johor Bahru is 2 mi (3.2 km) away. This smoke-free hotel features a restaurant, a 24-hour front desk and free self-parking. WiFi in public areas is free. All 56 rooms provide conveniences such as fridges and coffee makers, plus complimentary wireless Internet access and LCD TVs with cable channels. Guests will also find room service (during limited hours), free bottled water and hairdryers. Hotel Tebrau CT offers 56 forms of air-conditioned accommodation with complimentary bottles of water and coffee/tea makers. LCD televisions come with cable channels. Bathrooms include complimentary toiletries and a hairdryer. Guests can surf the web using complimentary wireless Internet access. Housekeeping is offered on a daily basis and an iron/ironing board can be requested. Hotel Tebrau CT has a restaurant on site.